Watching countless car videos on DRIVE channel on Youtube and doing numerous track time with my JCW I wanted to capture more of the action. At Top Gear Live 2012 I went over to the Go Pro Booth and looked into purchasing one but I was told not to get one given the requirements I was asking for as the Go Pro 3 would be coming and would be significantly better than the current version camera and function wise. 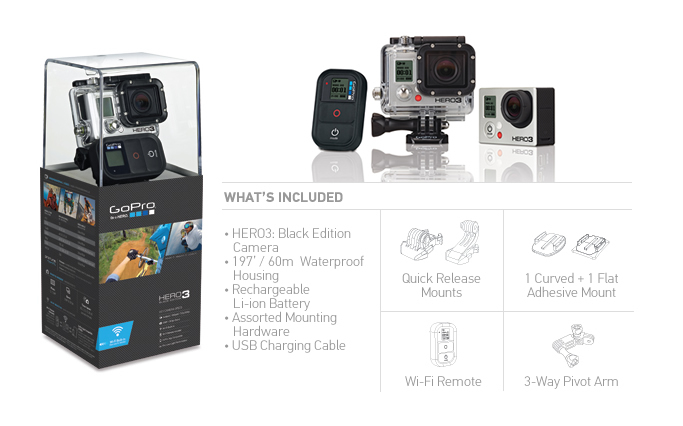 So waited for until the Go Pro 3 was unveiled. I wanted to buy was the Black edition due to the fact you get a better camera than the base model, better low light performance and the WiFi remote is included as well. Having brought my Go Pro 3: Black edition for £359.99 then spending a further £40 on a Class 10 64GB Sandisk Micro SD Memory Card and another £29.99 on the Suction mount. If look at the price of all the kit together at £429.98 its a small fortune before you have started filming but the quality of the product itself is fantastic and robust. 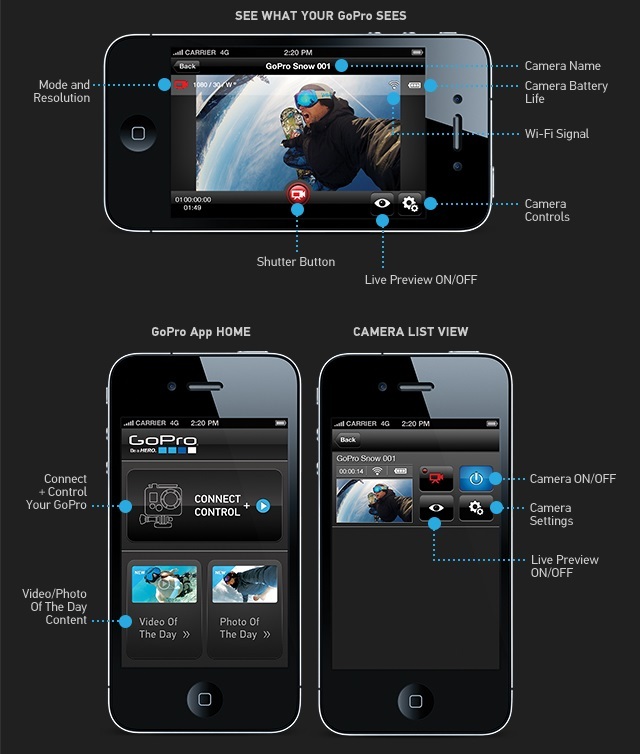 You can start filming from the box but its recommended that you update the camera online as Go Pro update various features in and improve the video/camera processing. The GoPro website will guide you the process and follow all the steps one by one exactly and you wont have any problems then. 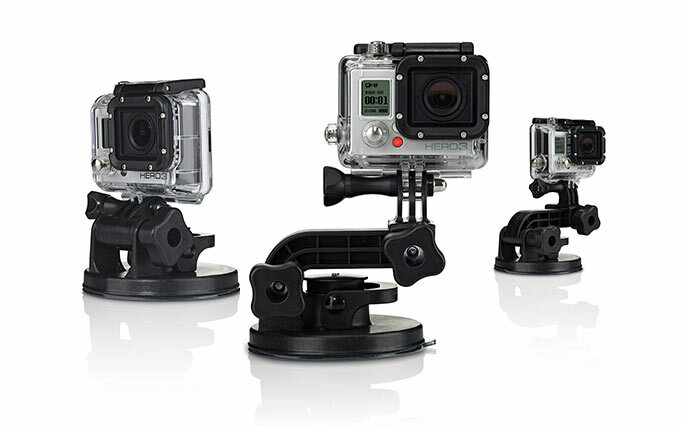 The GoPro App lets you control your GoPro camera remotely using a smart phone or tablet. Features include full control of all camera settings, video preview to your smart phone or tablet for easy shot framing and more. The only real requirements to use the App is that you must have either Go Pro HD Hero 2 or Hero 3 as WiFi connection is need to connect the App and device. After using the App its a useful thing to have as it allows you to see what Go Pro is seeing so you can adjust the camera according or just shoot on the fly when you want to capture a moment. Its appreciated the Go Pro offer the App for FREE as they could have easily charged for it. The App does exactly what its says with you being able to click to shot and change the setting as you wish without the need to touch your camera which brings on the point why I wanted to have the remote? 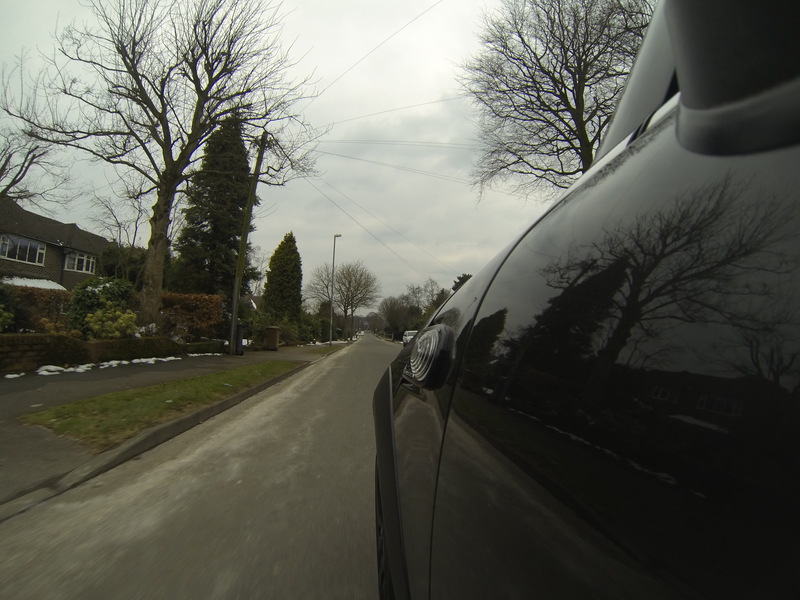 Given my shooting would be done whilst I driving I would need a quick and legal way of activating the camera. You can attach the remote to your keys so all I would needed to do is press the button and recording would be begin opposed to unlocking my phone, launching the App then clicking record. The only negative thing I can say about the App there is about an 5 seconds delay in what the camera see to what you see on the screen of your device. I hope down the line this gets improved or some cool features are added to the App. Whilst your on their website you can download for Free GoPro Cineform Studio which is a very easy to use editing software to create professional quality clips from your GoPro content or prep for more advanced editing with Adobe Premiere Final Cut Pro, Sony Vegas, etc. From simple adjustments like slow motion control and clip trimming to more advanced color correction and 3D editing, CineForm Studio is a powerful tool for all GoPro content creators. Apply real-time, non-destructive image adjustments that don’t require re-rendering as changes are applied. The Suction Mount for the camera is unreal as it’s quite frightening suction mount £400 camera and excepting it that it will be still be there after some Hoonage. It comes included with short extension arm allows for ultra compact mounting for engineered to provide a broad range of motion and stability. 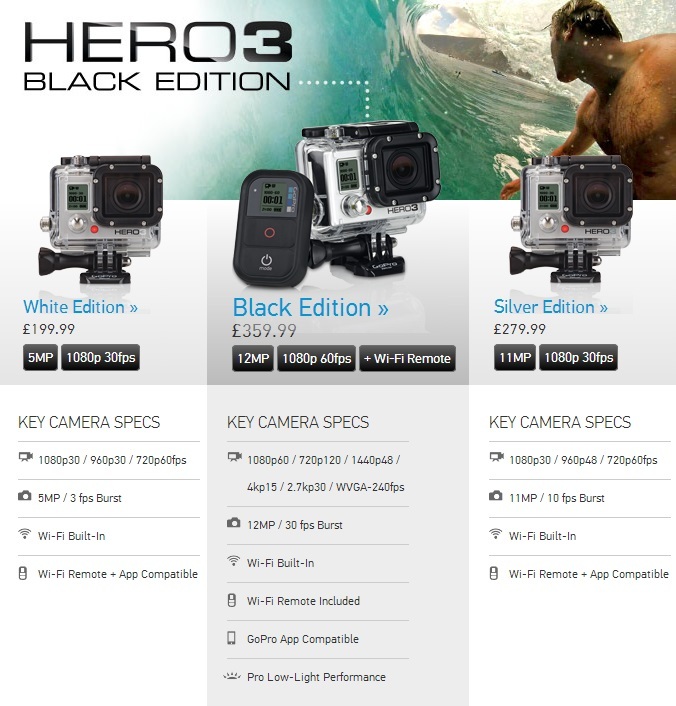 GoPro says its been proven to stay on at 150+ mph which is re insuring given how expensive the camera is. Now that we have reviewed how its easy to utilise by itself, accessories and what you get for your money. Its time to talk about the pros and cons of the camera. Video quality can be easily changed ranging from 720p to 4K resolution with option change the frame rate to 15,30 and 60 frames. Why isn’t there a plug to adapter included to charge the camera quicker? Go Pro is something that all fanatics of any sports needs to have to capture you in your moment. The level of entry is high but is well worth the asking price given the quality of the camera, endless accessories and build quality. Go Pro 3 is an amazing piece of kit and you are the limiting factor with your editing skills and how adventurous you are….